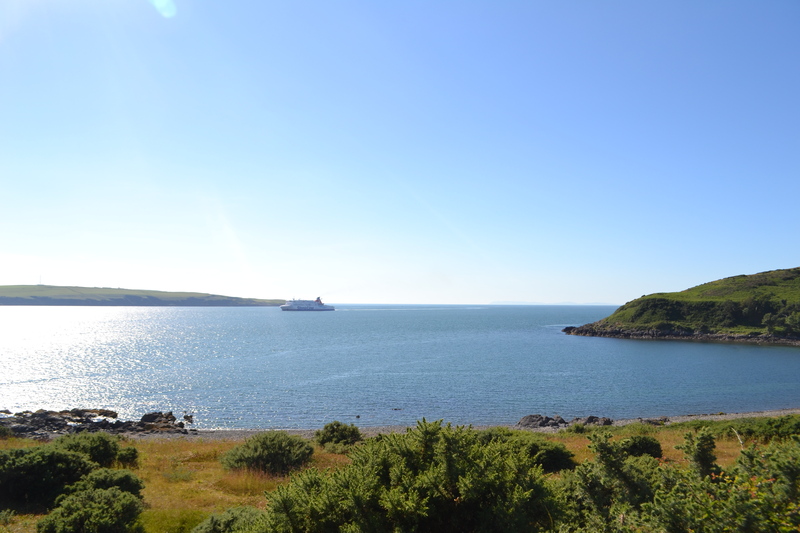 The Rugged Rhins of Galloway – Loves Life! I would like to introduce you to the rugged Rhins of Galloway, often described as a hidden gem. This is the area in which I grew up in. 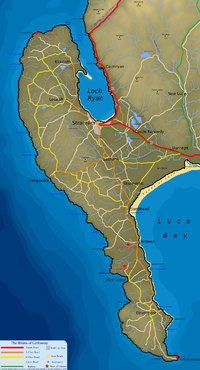 It is an interesting shape, being a narrow peninsula surrounded by water. It has around 50 miles of beautiful coastline with rugged rocky inlets in the west and sandier beaches in the east. This beautiful land stretches 25 miles from Corsewall Lighthouse in the North to the Mull of Galloway, the most southerly part of Scotland. 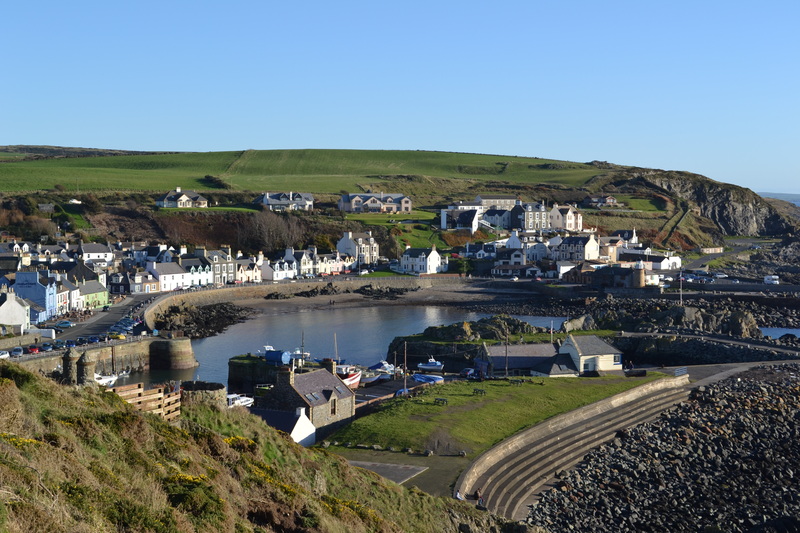 The popular pretty seaside village of Portpatrick on the west coast boasts beautiful coastal walks, lovely places to eat and interesting shops to peruse. Portpatrick has the shortest sea route to Donaghadee in Ireland, with it being only 23 miles away. On a Sunday afternoon yachts are often spotted sailing in to Portpatrick harbour to sample the delicious food from the many seafood restaurants and pubs. The Southern Upland Way commences here and finally finishes at Cockburnspath in the east. The warm Gulf Stream influences the climate and despite being exposed to the bracing westerly Atlantic winds, the Rhins rarely suffers from severe frost or heavy snow. The popular Logan Botanical gardens in the South Rhins are able to grow many exotic plants. 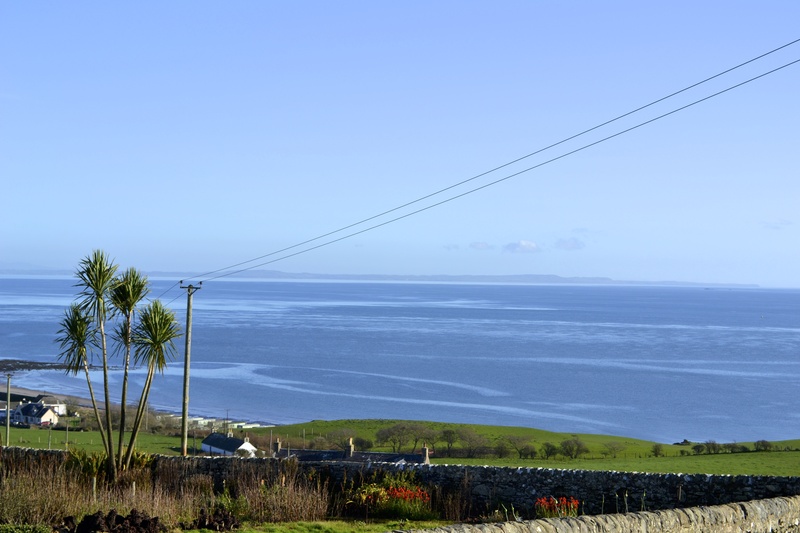 In the South Rhins, the Mull of Galloway provides clear views to the Isle of Man and the Lake District on a clear day. On top of these spectacular cliffs you might be lucky to capture peregrine falcons, twites and stonechats. 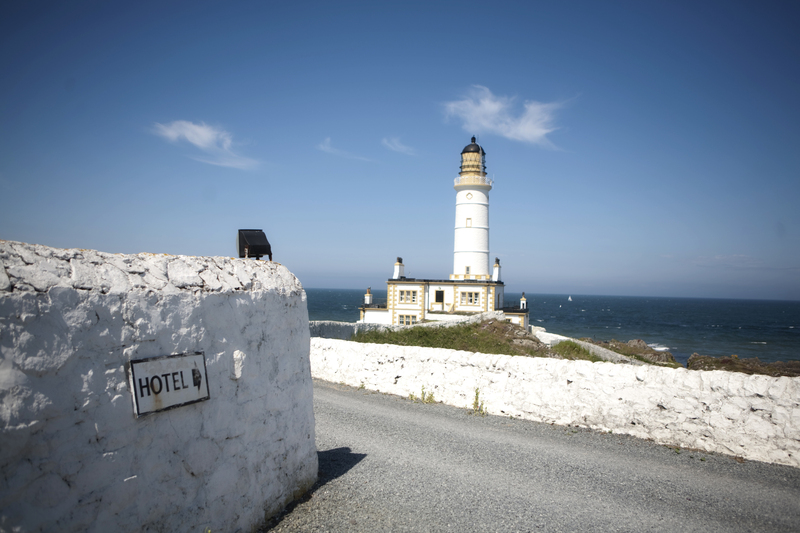 Corsewall Lighthouse in the North Rhins, is one of the many lighthouses in the area built by Robert Louis Stevenson’s grandfather and is now a converted lighthouse hotel, serving delicious local produce, within walking distance of Dundream. The dramatic North Rhins coastline has the remains of Iron Age forts; Dunskirkloch, Dundream and Caspian. Gannets, storm petrels, sabines’s gulls, shearwaters and skuas, razor bills and puffins can be spotted from the cliffs. On the shores of Loch Ryan various gulls, guillemots, razorbills, great-creasted grebes, red-breated mergansers, red-throated divers, shags, cormorants, gannets, wigeon and other ducks, whooper swans (in summer), mute swans and terns hang out. 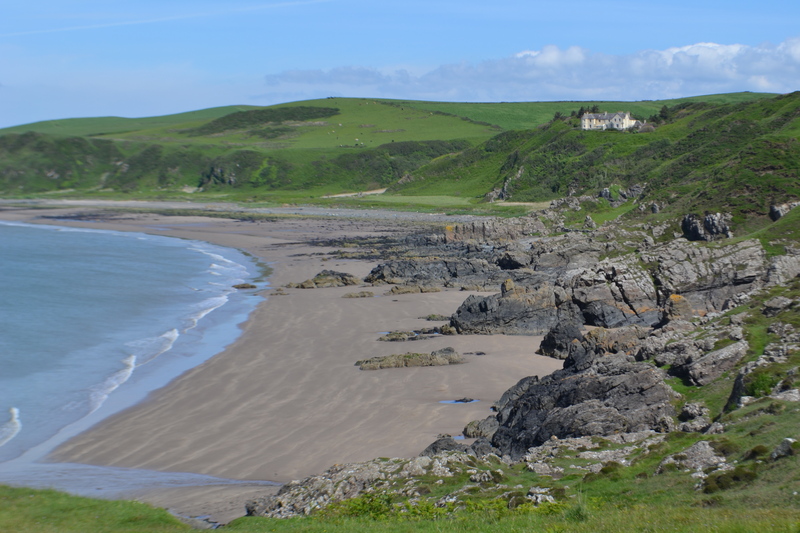 My favourite beaches are Lady bay on the shores of Loch Ryan, a short walk from Dundream and Killantringan bay near Portpatrick both ideal for picnics and swimming. 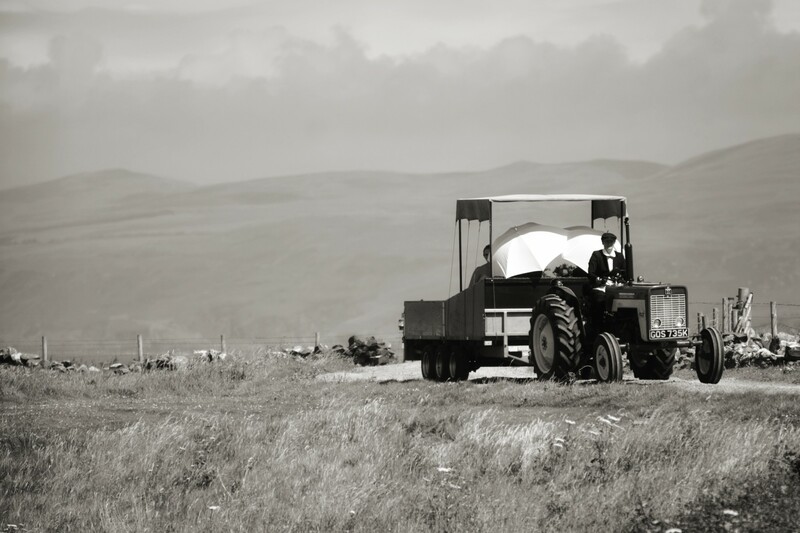 I have given you a brief glimpse of some of the highlights of the Rhins of Galloway. I still get excited when I drive down the A 77 from Glasgow and catch my first glimpse of Loch Ryan.